City of London, is not an unfamiliar name to those who like to travel. It's not only the capital of the former colonial powers of Sabah once upon a time, even the famous shopping center of the world. If you mentioned about shopping, Oxford Street, Piccadilly Circus or Harrods is definitely a social choice. In Oxford Street, for example, a row of branded boutiques with offer's attractive prices will certainly impress anyone. 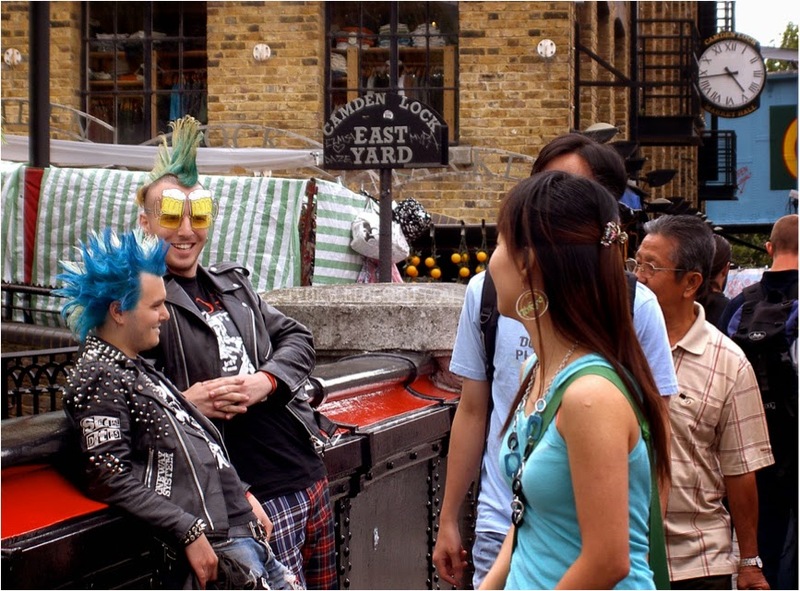 However, for those who want something different, Camden Town is the answer. Although it is not as satiated as other shopping places around the city, but Camden Town is always keeping the secrets for the others. Subway ride is the main transportation in the city, not only fast and cheap, but all the places in London can be reached by simply boarding the train. The journey started from Kensington High Street station to Camden Town takes about 20 minutes to convert two other trains before reaching the area. Somewhat surprised at first when all passengers train walk as fast as running and it was an entertaining. Upon reaching the station at Camden Town, I was quite surprised thorough the main gate of the railway station when saw many young people with a variety of fashion were talking at the entrance of the station. 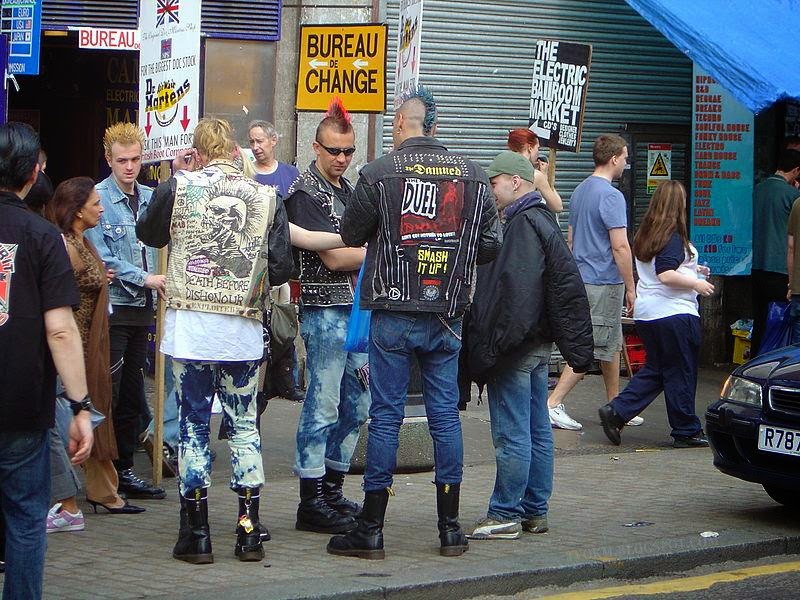 Punk style, skinhead, Gothics and so on adorning the appearance of the teenagers who are too busy talking and there is of them sitting on the sidewalk like having a picnic in the middle of the pedestrian area. Perhaps, the question about the relaxing teenagers in the city, which has always been in my mind, was solved as I discovered the Camden Town. More interesting, they are conducting various activities such as playing music, singing, graffiti art and so on which from part of interest teenagers. They also make the sides of the road or pavement as a place to relax, chat with friends and share stories. Camden Town has many interesting attractions such as cloth stores, food stalls, shoe store and most of the focus are skinning products are sold cheaper. The stores are decorated with creativity, while walking along a row of shops there are various giant shoes placed in front of the store or on the wall to attract the attention of visitors. For those interested in old or antique items, Camden Market, which is located in the former stables that have a plentiful selection of interesting antiques and hard to come by elsewhere. Unlike other boutiques, traders at there allow bargaining, but beware of imitation goods are also sold there and visitors need to be more careful. Camden Town store has a variety of interesting things to be searched by the visitors. The day should be spent to explore various places of interest that may give you some satisfaction. Halal food is not difficult to find, there are food's outlets Malay, Arabic and Indonesian are easily available at stalls around the city. 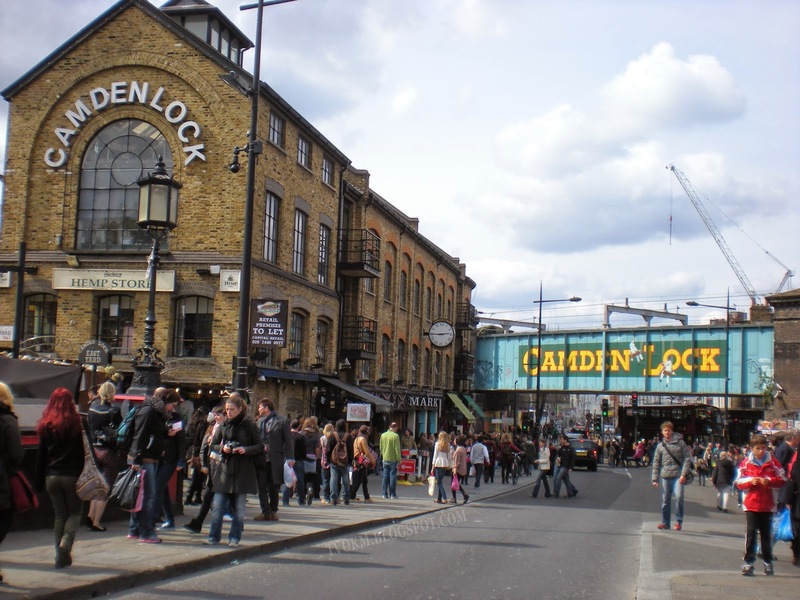 For those who has the opportunity to visit the city of London, Camden Town should be placed in your holiday table. This is where many interesting activities for the average man in London. 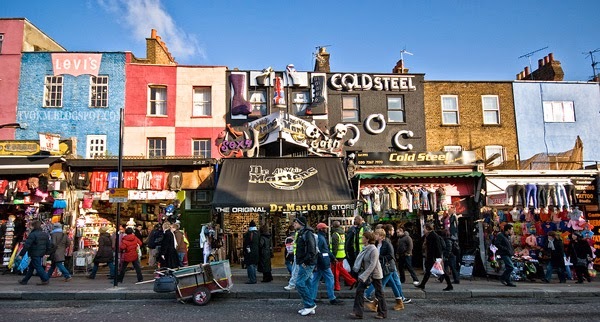 Camden Town is like the other side of London that stores various matters of interest for the benefit of the visitors who want to discover the reality lifestyle of the people in the big city.